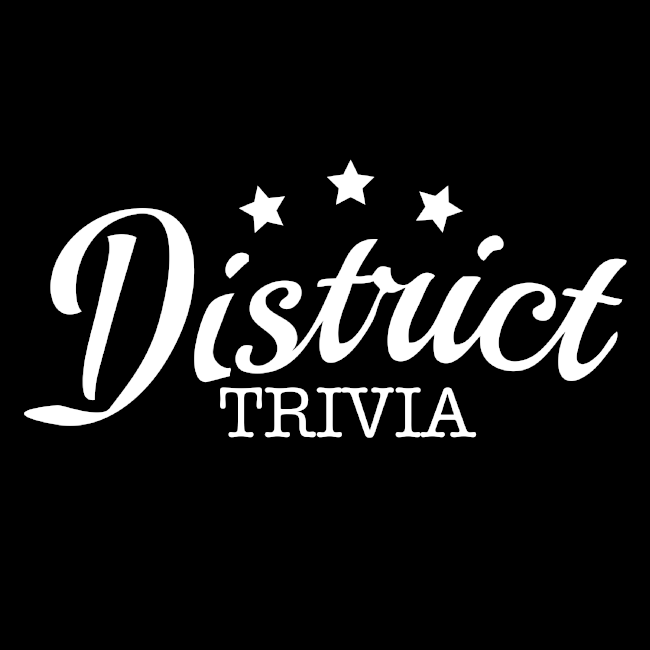 District Trivia gives your team a chance to win over $10,000 in cash annually! All District Trivia venues are part of the Tournament of Champions. Teams accumulate points monthly at their venues. This happens during your regular night of trivia - there is no need to sign up or register - scores are automatically uploaded to the leader board. The monthly winners or "semi-finalists" battle it out for a spot in the finals. At the finals event, the champion team walks home with $5000 cash! The Tournament of Champions occurs twice a year in Summer and Winter seasons. The Summer season is from April through August with the semi-finals and finals taking place in September. The Winter season is from October through February with the semi-finals and finals taking place in March. The trivia season runs concurrently with your normal weekly trivia event, so teams and scores are automatically entered. All you have to do is show up and play trivia. This also means that we give away $5,000 in cash TWICE a year! At any and every District Trivia venue. Because we wanted to provide you another way to win cash and great prizes for loving trivia. As a finalist... Every night at each venue, team scores are automatically uploaded to the leader board. No need to sign-up in advance. Each month, the highest cumulative score will be the semi-finalist for that month at your bar. At the end of the 5 month season, the semi-finalists will compete against each other during trivia at their venue. Be sure to keep your team name the same during the trivia month. The top team will advance to the finals and represent your venue! Teams that qualify this way will receive 10 bonus points toward their score during the finals. It is a bonus designed to reward teams that have put in the time crawling your way to the top. As a Free Pass winner.. Occasionally, we like to throw out a Free Pass - this allows the winner of a single trivia night to advance directly to the finals. These are random - you'll have to check the website and social media, as they are often announced last minute. Click the envelope in the top left corner and select "tournament" - a District Trivia staff member will answer your question. Let the competition for the $5000 cash begin!